How do you work with us on the day of the wedding? Your wedding day is exactly that - your day. Outside of family formals, I blend into the day as much as possible so you can just enjoy it. I will set you up in the best lighting situation and after that you can just enjoy each other and let the natural moments unfold. How many photographers will be there on our wedding day? Two. I always work with a second photographer. 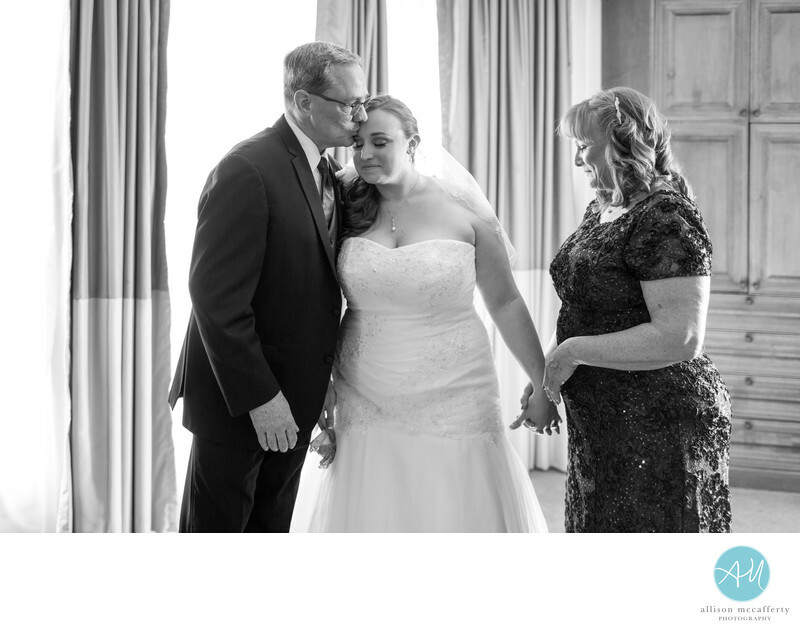 This allows us to cover both parties getting ready simultaneously, moments right before and after walking down the aisle, both reactions during a first look and simply more angles and moments are captured. I work with a select few photographers who are also full-time wedding photographers. I guarantee their quality of work and level of professionalism on your wedding day. I couldn't imagine working with anyone else! 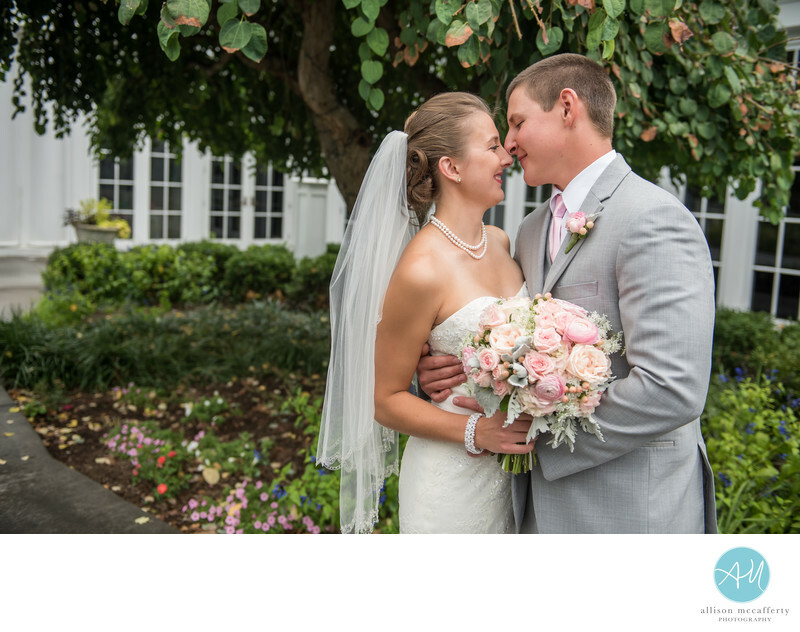 Instead of worrying about fitting your wedding day into an exact number of hours or sacrificing some of your wedding photographs, I customize your timeline to make sense for your wedding day. I typically start coverage the last two hours of the getting ready process and finish as the reception starts to wind down. What happens if you get sick and cannot make it? This has never happened in my photography career. I take the responsibility of being your wedding photographer very seriously. In the rare instance I can not photograph your wedding, my second photographer would become lead. I would find a replacement second photographer of the same quality and level of professionalism. I am part of multiple organizations which leaves me with a large network of exceptional photographers. Your wedding would be covered. Can we provide you with a list of requested shots? My goal with every wedding is to make the most creative and beautiful set of images that tell the story of your wedding day. If I were to work off of a list I would not be able to capture the natural occurring moments. While I am happy to include a few requests, please trust that your images will be far more beautiful and special to you if you allow the day to naturally unfold. How soon before my wedding day should I book with a photographer? I recommend booking one to two years before your wedding. The one year mark is when my dates really start to fill up. I accept a limited number of weddings each year, so the sooner you book the greater chance you have of getting your date. Weddings take approximately 6-8 weeks. 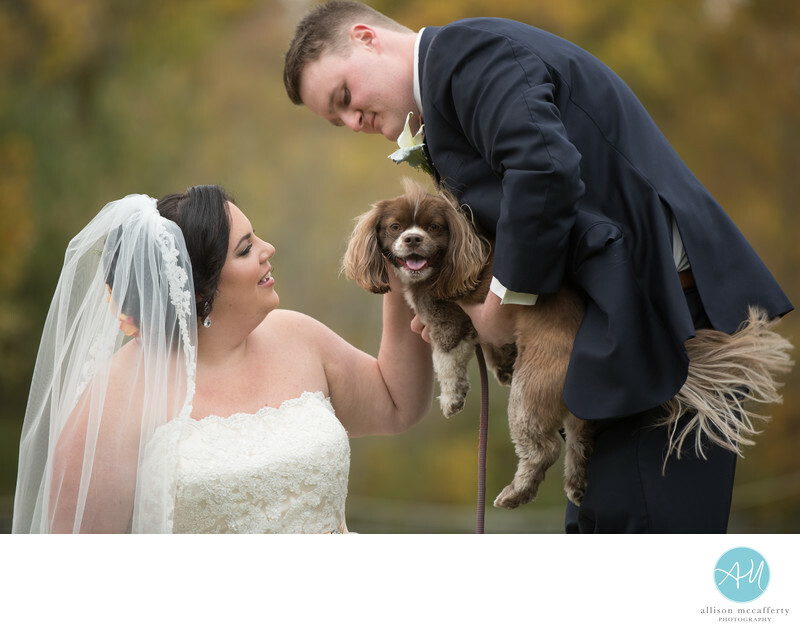 With your permission, wedding sneak peeks are posted on my Facebook business page one week after the wedding for you to enjoy while you are away on your honeymoon. Engagement and portrait sessions take approximately 2 weeks to be fully edited and delivered. Do you do studio portraits? Yes! I have a studio in my Shamong, NJ home. I mainly use this space for headshots, boudoir and glamour sessions. Family sessions I prefer to do on location so we can include the environment. I know of many different scenic locations in the area, but always love it when my clients have a special place in mind that incorporates more of their personality into their portraits. Throughout the South Jersey & Philadelphia areas! I tend to stay within a 20 mile radius of Shamong (zip 08088) for my standard rate portrait sessions. Areas outside of this radius I may quote any additional travel fee if necessary. For weddings, I travel all over the South Jersey and Philadelphia region. If there is excessive travel I may charge a fee to cover the additional time and expense. Please inquire for travel rates. 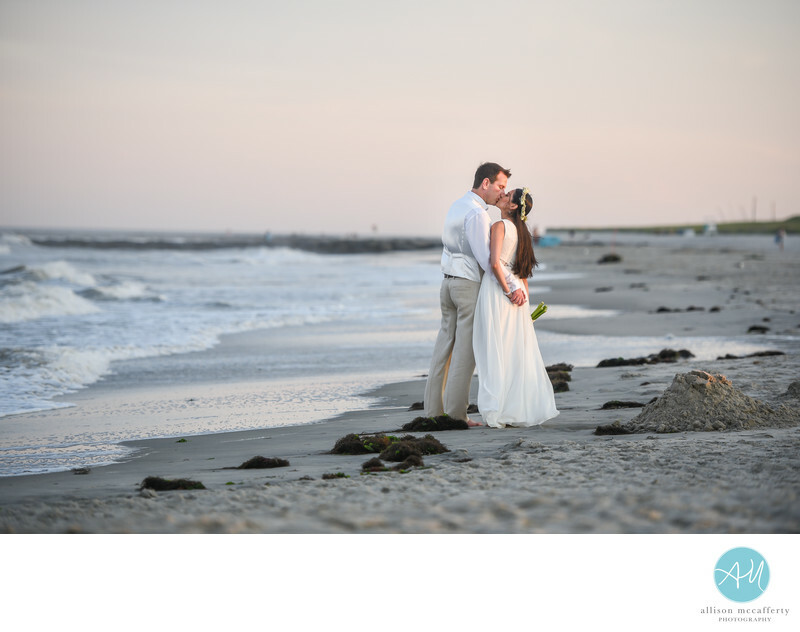 I especially love beach weddings, so please contact me if you are in need of a Jersey Shore wedding photographer! Because I'm awesome and have the best dance moves? Haha.. In all seriousness though, your wedding should be about you. I'm not going to orchestrate your day. I won't tell you what you *have* to do. I want you to have fun! I want to be there to tell your story, to document how deeply you are in love with your person and everyone who was there to support you. When you look at your photos I want you to remember how that day felt not just looked. Do you know any make-up artists, hair stylists, videographers, florists, etc that you can recommend? I certainly do! I know when I’m looking for a professional, I try to get a personal reference. I can refer you to some great vendors that I have worked with in the past both professionally and personally. I wouldn’t recommend anyone that I didn’t think did a great job. For weddings, a $1,200 retainer and a signed contract is required to book your date. 50% of your balance is due ninety days before your event, with the balance due two weeks prior to the wedding. Custom payment plans can also be arranged at the time of booking. How many images of my wedding will I receive? On average I deliver between 70-100 images per hour. I see you do boudoir sessions, where can I get more information? Boudoir photos are intended for a specific audience, not for the whole internet to see, so I primarily use model sessions in my online gallery. All client sessions are kept private and offline unless they chose to share their images. My boudoir gallery can be viewed here: South Jersey Boudoir Photographer. My sessions are done in my home-studio and done with a variety of backdrops. A white sheet setup is also available for no additional cost. I have a professional hair and makeup artist available for your session to perfect your look. I also provide on-location sessions if you wanted to rent a gorgeous suite or B&B. You can even book back to back sessions with a friend to split the cost of the room. Boudoir sessions are a blast for bachelorette parties, too! Contact me today for package information. Do you provide destination wedding services? Absolutely. I love to travel. I am always traveling throughout the South Jersey and Philadelphia area for weddings, but love experiencing new places. Contact me for a custom quote. I’m ready to book! How do I schedule? Give me a call at 609-440-4148 or email me at info@allisonmccaffertyphoto.com to schedule your appointment today! We can meet in person or via FaceTime.